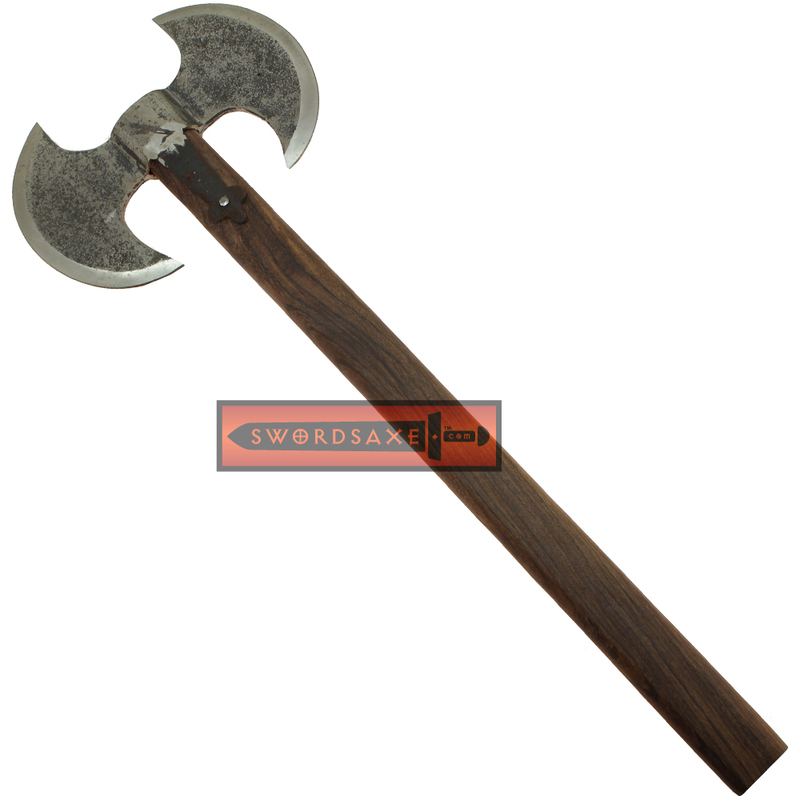 This medieval barbarian axe features a dual Carbon Steel blades each measuring 8 inches as well as a hardwood wooden handle for an enhanced grip. 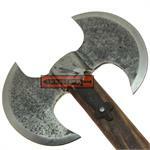 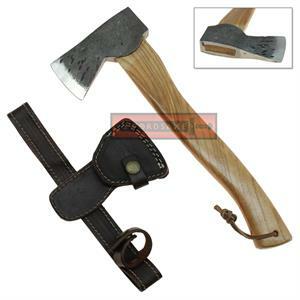 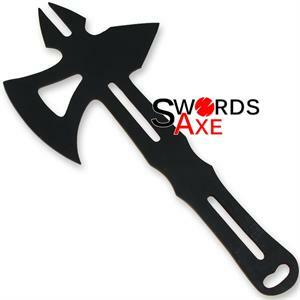 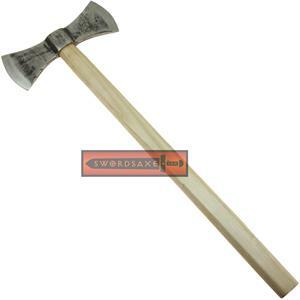 This axe is ideal for use as a decoration or as part of a collection. Take it to a Renaissance fair for an authentic intimidating look. 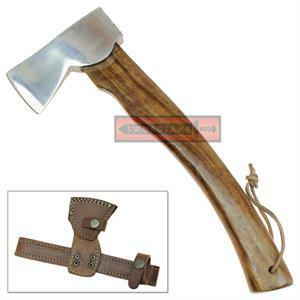 This beautifully designed recreation is a fine addition to any collection.